Father’s Day gift giving is just around the corner, and the number one complaint I hear is, “dad is so difficult, because dad seems to have everything they already want.” From personal experience, my father is the worst to purchase for because he would just go and get whatever he wanted or had been talking about, so my mother had a rule with him- no gift hunting one month before major celebrations. Sometimes it worked, often times his impulse won. 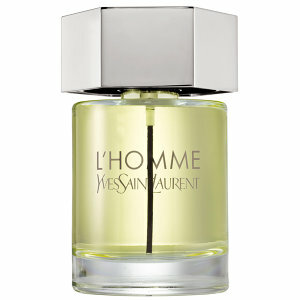 So this father’s day, let’s surprise him with something he would not necessarily think to purchase for himself. The cosmetic world is a great market to explore- I’m not saying buy the guy some anti-age products (if you do this, it needs to be together, in person, and guided so he feels some owner ship in the decision), I’m saying, let’s give him an experience to pull him out of his normal routine. 4. get him closer to an organic interest in product and skin care. 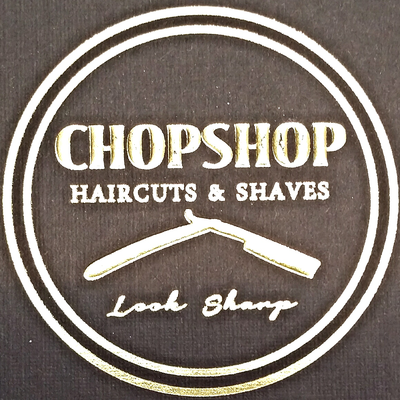 That’s when I discovered, Chopshop, in Santa Barbara, a one and a half-year old booming business, run by masterminds, Frank Perez and Elijah Zayas. 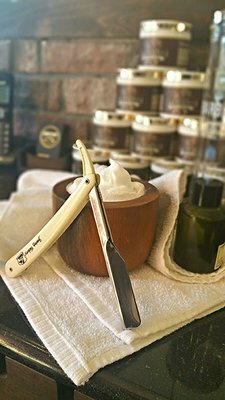 I sat down with Frank Perez and Elijah Mayas and dove into what an old-fashioned hot towel shave is all about. Perez creates experiences. He begins the service by a hot lather- this means that he lathers up the face with a shaving cream from a machine which warms the product and is mixed with an oil to bring dirt and grime to the surface, and soften the beard bristles. He then puts a hot towel around to encourage hair follicles to soften, and actually come out of the skin a little more to get a closer shave! Not just any blade though- these guys are all about hygeine- every razor, which is inserted to the old-time handle, is disposable and thrown out after every client and replaced with a new one. After the shave, another hot towel is cushioned around the face, and removes any lasting residue. The next step makes perfect sense, which is to use a cold towel to close up the pores, and make the shave last longer. 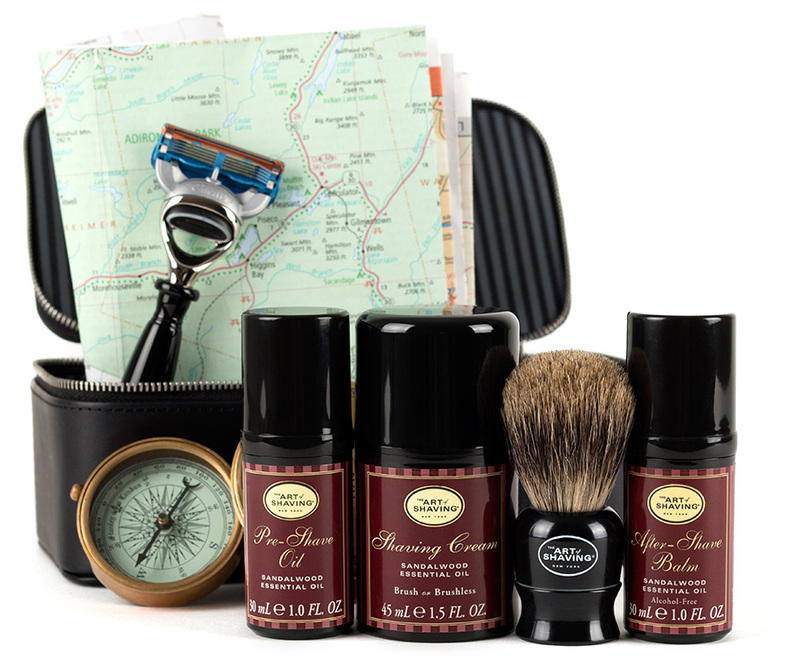 Finishing touches include an aftershave from The Art of Shaving and Talc, to keep sensitive skin feeling amazing, and bacteria and irritation at bay. If you’re in the Santa Barbara area, check them out: 3204 State Street Suite C, Santa Barbara, CA 93105 and give a call ahead of time because they book up! (805) 770.2933. 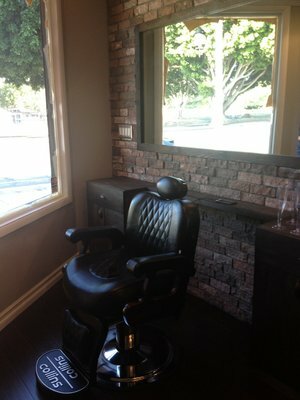 If you are not in the Santa Barbara area, give yelp a search for “old-fashioned shave” or “shave shop,” and see if there’s one near you because I forecast this as the next best thing! And as Zayas says, it’s a great way to “hit the refresh button” on style! 3. Jazz Club by Maison Martin Margiela’s Replica $125 – a more dangerous fragrance that makes me think of whiskey and cigars; Pink Pepper, Lemon, Neroli Oil, Rum Absolute, Clary Sage Oil, Java Vetiver Oil, Tobacco Leaf Absolute, Vanilla Bean, Styrax Resin. Here is an Art of Shaving kit that caught my eye. Art of Shaving is carried at Sephora.com and of course, Chopshop. 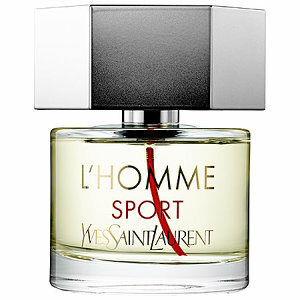 What are some of your favorite gifting ideas for dad? I hope you start your shopping early! This entry was posted in The News, Work it and tagged Art of Shaving, beauty host, Chopshop, father's day, fox 11, gift ideas, guru, L'Homme, Make-up artist, news, segment, Sephora, television. Bookmark the permalink.